LED Lights and Air Conditioning Specalist. Lightpoint Consultancy Services - Established in 1993, bound by a code of ethics in our personal and professional activities we truly consider ourselves to be Independent lighting consultants. We have no alliance with supply companies or products; we remain independent so we can provide our clients with the best possible solutions to meet their lighting needs. 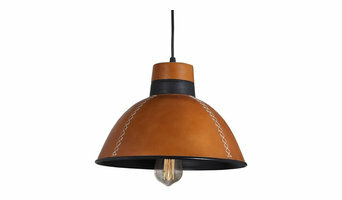 We import and manufacture handcrafted lighting with materials such as leather, wood, metal, brass and much more. Our lights are heirloom quality handcrafted lighting with unique designs. 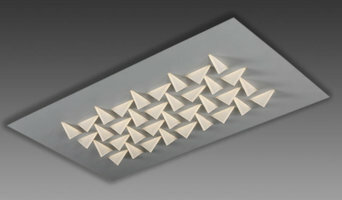 Contessa Lighting has a long standing reputation of excellence in delivering superior lighting solutions to the lighting and building industries. Founded in 1946, Contessa Lighting is a well established; family owned and managed wholesale business that has for over 65 years distributed quality light fittings throughout Australia and New Zealand. At Contessa, we specialize in supplying both the residential and commercial lighting markets and are well known Australia wide for our ability to manufacture architectural, custom made pendants and shades. We strive and succeed in providing a quality product that exceeds the standards of the many retailers, decorators, architects and builders we deal with. Long experience in manufacturing has enabled us to provide a finished product of unique design and genuine quality carefully crafted by hand. MARTEC embodies more than 40 years of commitment to the innovation, quality and durability of our ceiling fans, LED down lights and bathroom fixtures. Our focus has always been, and continues to be, on our customers and the quality of experience they enjoy when using our products. We are a husband and wife duo located in Sydney, NSW. One is an Engineer, one is an Artist. With our powers combined we create awesome lights! We have been working on bringing you fabulous lights for almost a year now. What a year it has been! So much planning, experimenting, and making lots of mess! Our concrete designs are all handmade by us. The engineer designs concrete lights by night, and 15-storey apartment blocks by day! We cannot wait to show you the other handmade pieces coming soon! We ensure all of our lights are made to the highest quality. All of our light designs are certified by N.S.W Fair Trading to ensure they are safe, quality products for use in your home. Lumos Lighting is a leading brand in commercial and residential lighting-one of the pacesetters for the industry in innovation. Our comprehensive range of products include energy-saving lamps, ballasts, transformers and LED lighting ensuring the best lighting solutions for our customers. 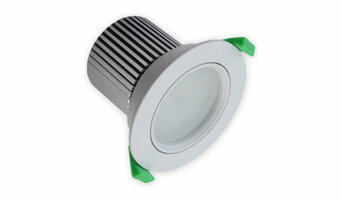 At Omega Lighting Australia we sell quality LED lighting for Domestic, Commercial and Industrial applications. We have a range of colour tone and remote control lighting products particularly suited to home use. Australia’s largest range of Wheels and Tyres – Michelin, BF Goodrich, Nexen and Achilles, Advanti mag wheels and car rims. The Wheel and Tyre technicians at Tyrepitstop.com.au – Australia – Tyreplus Menai or Engadine know the benefit of dealing with us and it’s not just price. We have the latest technology, capability and equipment to handle large diameter wheel-tyre fitments including the latest European run-flat tyre technology. All Tyrepitstop technicians undergo accredited training, producing experienced professionals highly proficient in fitting, aligning, balancing and repairing punctures. All work is carried out using up-to-date and well maintained equipment providing minimal disruption to your motoring. We offer an extensive range of tyres to meet the motoring needs and budgets of most passenger cars, 4WD, SUV, light truck, 4×4 and van owners. In addition, Tyrepitstop crews are able to quickly source many additional tyre brands such as Pirelli, Dunlop, Bridgestone, Continental and Yokohamas. Festoon Lighting Sydney provides a professional service for both event hire and permanent installation of festoon lighting with in the Sydney region. Choose us and work with experienced lighting consultants and electricians to get the job done. As well as festoon lighting we can also provide fairy lights and other decorative luminous solutions. Lighting designers will analyse your Wollongong, New South Wales home's layout, structure and needs to create an effective lighting plan throughout your home. This may involve the addition of new light fittings but may also include the movement or addition of power points — recommendations to suit your space and your lifestyle. Though electrical engineers or interior designers in Wollongong can take on the task of outfitting your home with the appropriate lighting, a professional lighting designer explores lighting as a technique. They can match your style, be it antique lamps to match your eclectic vintage home, or modern wall floor lamps to go with your designer furniture. Think about how you plan to use each area of your Wollongong, New South Wales home. It's important to communicate to your New South Wales lighting designer which space will be used as for reading and which for enjoying a movie or entertaining, as these will require very different lighting methods. In addition, consider how you'd prefer to control the lights. Lighting technology today includes dimmers, sensors, photocells (that let lights react to the amount of daylight in a space), programmable scene controls (that let you program different settings for varied lighting) and whole-house lighting controls (that let you control all or a portion of your home's lights from one source), allowing you to tailor your lighting controls however you wish. Find a lighting designer on Houzz. 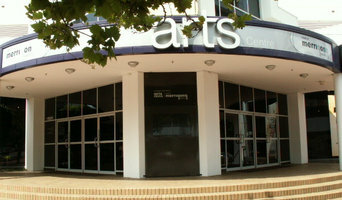 Narrow your search in the Professionals section of the website to Wollongong, New South Wales lighting designer. You can also look through Wollongong, New South Wales photos by style to find a lighting design you like, then contact the designer.